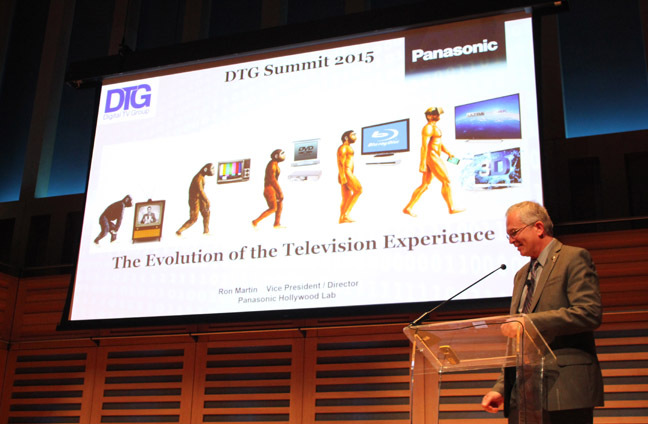 Breaking Fad The evolution of TV once again fell under the spotlight at the annual DTG (Digital TV Group) conference held earlier this week in London. The event provides a high profile platform for engineers, service providers, manufacturers and software developers to compare notes and scout out the ever undulating broadcast landscape. If telly techies have a roadmap, they tend to tout it here. And for good reason. The DTG itself is responsible for the D-Book, the broadcast bible for TV technical specifications, now in its eighth iteration. The group also stages compliance testing, and compares notes with similar bodies globally. It's a centre of gravity which prevents TV technologists from spinning out of control. The theme for this year’s shindig was Collaboration and Innovation, conjugated into CollaborVation – which is as hard to say as it is ugly to look at. 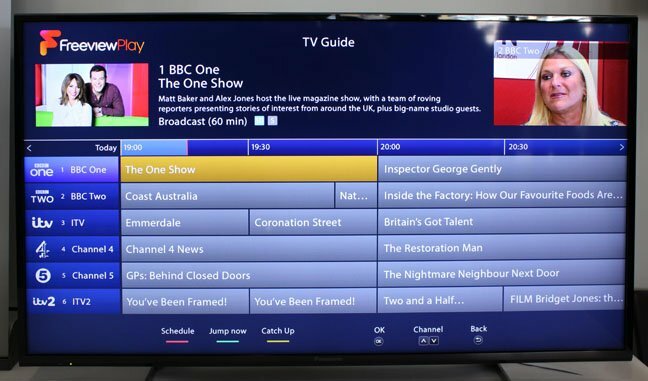 Horrible neologisms aside, the themes and issues covered are fundamental to what’s happening with the gogglebox, covering everything from the rise of OTT services to the average distance we sit from our screens was discussed. Predictably, the thorny issue of Ultra HD standards continues to vex the industry. Indeed, there are now many working groups and committees debating 4K specifications and ecosystems that broadcasters appear in danger of pontificating themselves into paralysis. We’ve covered the ongoing kerfuffle surrounding 4K HDR (High Dynamic Range) in previous Breaking Fads here and here. Suffice to say, they continue to roll on. Significantly, and purely by coincidence, the Blu-ray Disc Association signed-off the Ultra HD Blu-ray spec on the morning of the DTG confab. Job done. BDA board member and VP of Innovation at Panasonic Hollywood Labs Ron Martin, who just so happened to be speaking at the event, told me during a break that the 4K Blu-ray ultimately opted for “an achievable” HDR solution, which eschews some of the more blinding and problematic HDR concepts first mooted. “We reached a reasonable compromise with content providers and technology companies,” he confided. “Essentially it’s a sub-set of the SMPTE 2084 10-bit HDR standard.” It comes with mastering guidance so that content providers and display makers can provide a uniform presentation. 4K HDR Blu-ray discs will offer a 400 Nit average and anywhere from 700 – 1000 Nit total peak value. In effect, the BDA has drawn a line under the ongoing UHD broadcast burble, with a real-world solution that can be delivered today. It remains to be seen if broadcasters follow suit. A key highlight at this year’s DTG bash was the official unveil (of sorts) of Freeview Play, the long awaited connected evolution of the Freeview TV platform. Freeview Play integrates linear DVB terrestrial services with Internet-delivered catch-up. This probably doesn’t sound quite as revolutionary as it should, given that it’s landing after YouView, Freesat Freetime and a host for subscription and pay services that do much the same thing. The difference is that the former add disparate IP connectivity atop the Freeview platform. Freeview Play is connected from the ground up.